Marina learned how to transition from side control to knee on belly today! She was a pro going side to side using the wind shield wiper technique. 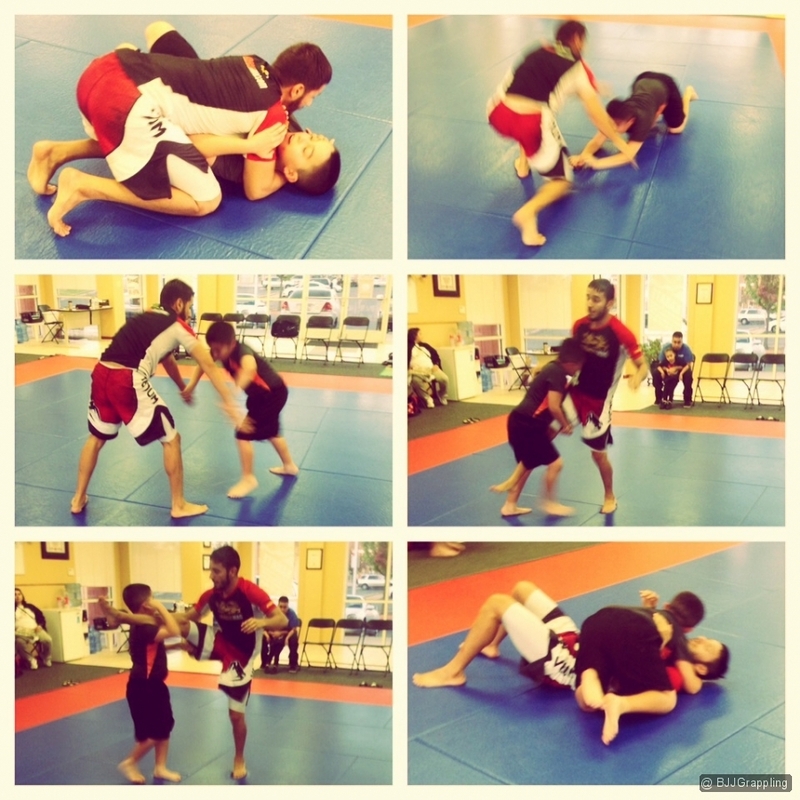 Jorge did such a great job learning how to escape side control to the knees, that he was rewarded by practicing his favorite type of takedown: single legs. In just one week Jorge has learned three different ways to escape side control into positions where he has the advantage. I have been given a tremendous opportunity to support an important cause and I hope to help bring more participants to the seminar on the 19th. This is an event open to ALL. It does not matter the school or affiliation and I look forward to getting on the mats with all of you and sharing some of my ideas! The kids class under way at Yemaso BJJ. Day 2 we learned to recover half guard from under side control. Yesterday, we learned to recover closed guard from under side control.